Chris Fischer: farmer, chef, Obama favorite, James Beard Award-winning cookbook author - and now comedian Amy Schumer's husband. 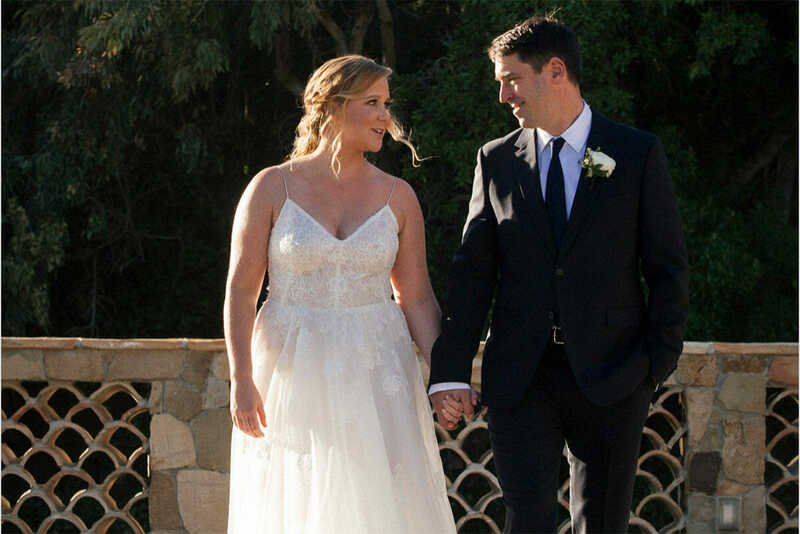 Amy Schumer and married chef/farmer Chris Fischer in a small ceremony in Malibu this past Tuesday. It’s clear that a respect for the land runs deep in this man’s veins. Here’s to years of happy breakfasts between him and Schumer – and here are 11 reasons to celebrate Fischer’s outlook on food and farming. He’s a champion of sustainable farming. Fischer’s grandparents never used the word biodynamic, but their style of farming fit the bill. He’s continued their way of life at the five-acre vegetable farm. “The food we grow, the fish we catch, the animals we hunt, and those we raise on grasses and flowers salted by the sea breeze are special because of this [land],” he wrote in The Beetlebung Farm Cookbook. He turned a single steak dinner into a successful career as a chef. At age 25, Fischer was hired as a grill cook at Babbo, one of Mario Batali’s restaurants in New York City. “I ate a rib-eye steak, which is kind of decadent and maybe silly-sounding, but the whole thing was a transcendent fine-dining experience and my dining companion said, ‘If you like it so much, why don’t you work here? '” he told Esquire in 2013. He applied for a job the next day. He worked at Babbo for nearly three years, then moved on to work in London (mornings at St. John Bread and Wine, nights at The River Cafe), run Beach Plum Restaurant in Martha’s Vineyard (a favorite of the Obamas), and, in June 2016, open The Covington in Edgartown, also on Martha’s Vineyard. He hosts legendary dinners in his Beetlebung Farm greenhouse. Invite us? And he seems to be an entertaining story teller. Fischer performed at for the live storytelling series “The Moth” recounting the first time the Obamas dined at his Martha’s Vineyard restaurant. He sees charming, endearing, and self-aware. And let’s not forget that Schumer herself has some agriculture roots, too. The comedian spent part of her childhood on her family’s farm, which they eventually lost when hard times hit and the Schumers had to declare bankruptcy when she was just nine years old. At the end of 2016, however, Schumer posted on Instagram that she bought back the property for her father.